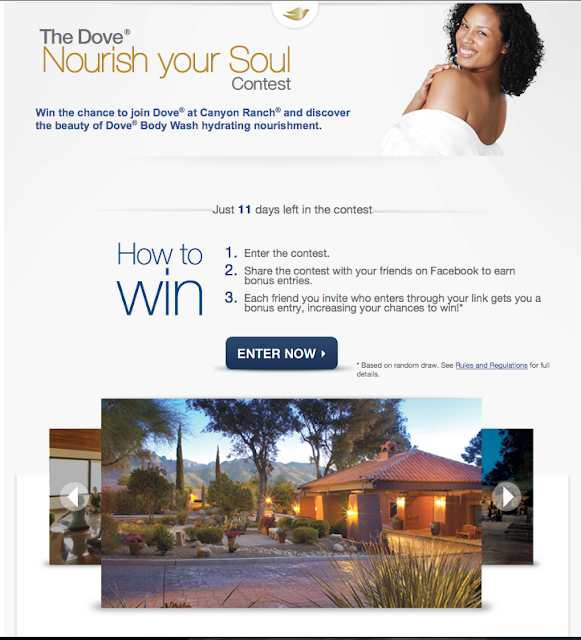 The ultimate nourishment from Dove Body Wash could be yours! Get ready to feel nourished like never before! 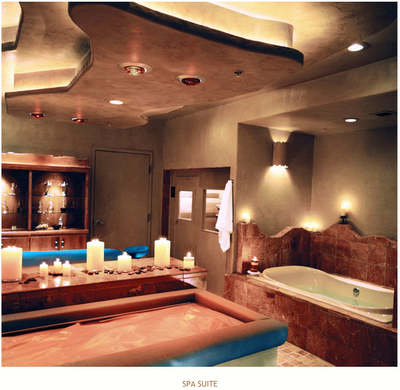 From May 25 to May 28, 2012 you'll join other Dove® ambassadors in the warm, supportive setting of Canyon Ranch® health and wellness resort in Tucson, Arizona for a celebration of your real beauty. For four ahh-inspiring days you'll learn to look and feel your best and explore new ways to reach your potential. Travel, accommodations, meals, a Dove gift bag and keepsakes from the stay. 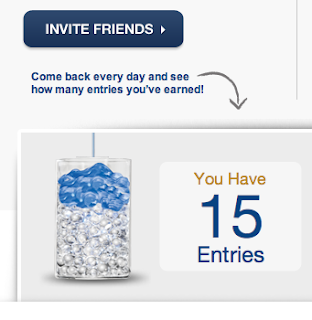 You can also earn bonus entries by inviting your friends on Facebook to enter. Go back and check your total entries and invite more friends every day. Each friend you invite who enters gets you a bonus entry and more chances of winning! Discover the beauty of Dove Body Wash hydrating nourishment.